Our Lady of Sion School boasts an enviable location, just five minutes’ walk from Worthing beach. With this in mind, the Junior School has now become an accredited Beach School. 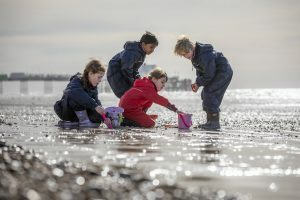 As Mrs Pearson, Senior Teacher in the Junior School comments: ‘Whilst we enjoy the many benefits of being a town centre school, having the opportunity to experience the ‘big skies’ and wide open spaces which the beach provides, opens another dimension to our pedagogy’. 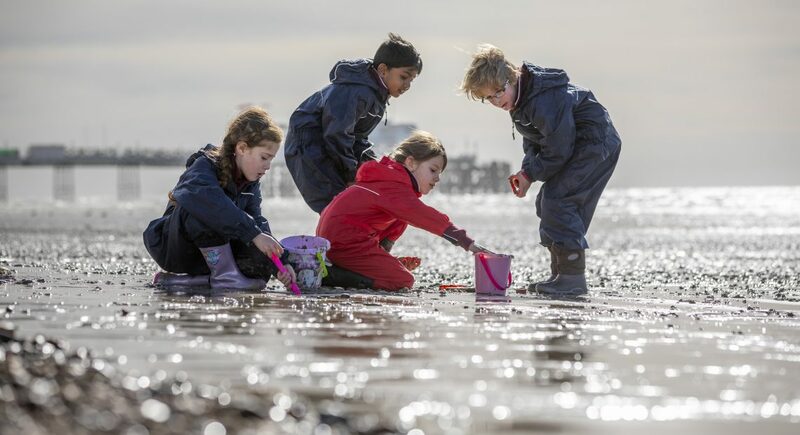 Mrs Pearson explains, ‘time on the beach is not always about the Beach School curriculum per se, sometimes it is an opportunity to embrace and contemplate the awe and wonder which the environment can provide in other subjects, such as English, Art and Science’. 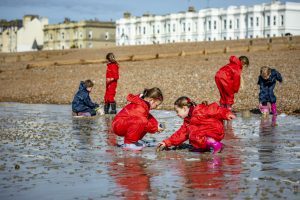 ‘During our February INSET day, all Junior School staff were involved in a range of theoretical and practical Beach School sessions, with a roll-out of the new curriculum approach from the Summer Term’.